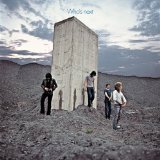 "Love has a nasty habit of disappearing overnight"
Who's Next is ranked as the best album by The Who. Members who like this album also like: The Dark Side Of The Moon by Pink Floyd, Led Zeppelin IV by Led Zeppelin and Sgt. Pepper's Lonely Hearts Club Band by The Beatles. Related links: top tracks by The Whotop tracks of the 1970s, top tracks of 1971. Showing latest 5 ratings for this album. | Show all 2,090 ratings for this album. Related links: top albums of the 1970s, top albums of 1971. A band at the apex of their career: no filler and two all time great songs. What's not to love? Obra-prima da banda com clássicos grandiosos e uma aproximação com o progressivo. An absolute essential to any rock and roll collection. Simply the greatest album ever. Baba O'Riley, Won't Get Fooled Again, Behind Blue Eyes, even Bargain are absolutely fantastic. Great album. "Behind blue eyes" does still sound very modern and is a great track. "Baba O'Riley" and "Bargain" are top tracks. The middle is so dull that hurts, but this album does have "Behind Blue Eyes", "Baba O' Riley" and "Won't Get Fooled Again". I admit that once I liked this album way more. Great album. "Won't Get Fooled Again" and "Bargain" and "Behind Blue Eyes" and "Baba O'Riley" are absolute masterclasses.